Six Hillsboro schools are no longer eligible for a federal funding meal program. Several Hillsboro schools will no longer be able to provide students free meals when kids return to classes this fall, as they have done for the past four years. Previously part of the Community Eligibility Provision, six elementary schools in Hillsboro that qualified for the federal assistance in 2014 have fallen short of eligibility upon renewal this year. Effective July 1, Free Orchards, Butternut Creek, Brookwood, Rosedale and Minter Bridge elementary schools and Groner K-8 School will no longer be part of the program. Miller, Mooberry, Reedville, Witch Hazel, McKinney, Eastwood, W.L. Henry and Lincoln Street elementary schools will remain in the program next school year. According to the U.S. Department of Agriculture's Food and Nutrition Service, the Community Eligibility Provision is offered to schools in high poverty areas to provide free breakfast and lunch to all students. But every four years, schools within the program need to re-apply for the benefits and meet certain standards. Schools need to have 40 percent or more students "identified" to qualify the entire school. "The biggest component (of qualifying) is the number of households in that school's attendance area that are receiving food stamps, identified at the state level and also migrant, homeless, and foster children that are identified," said Nathan Roedel, director of nutrition services for the Hillsboro School District. Roedel said the Hillsboro schools leaving the program no longer have enough students on state assistance to qualify for the program. "The number of families that are on state assistance has declined in the last four years," Roedel said. "So a good economy typically means less people receiving state benefits." Other qualifications for "identified" students are those who receive, or have a member of their household receive benefits from the Supplemental Nutrition Assitance Program, formerly known as Food Stamps, or the Food Distribution Program on Indian Reservations program. If the child receieves Medicaid and has familial income at or below 133 percent of the federal poverty level, as determined by Medicaid, or the child is enrolled in the federally-funded Head Start or comparable pre-kindergarten program, according to USDA. Kids can also be approved by local officials, meaning although the child is a non-applicant, local officials can identify the kid through other means than a school meal application. 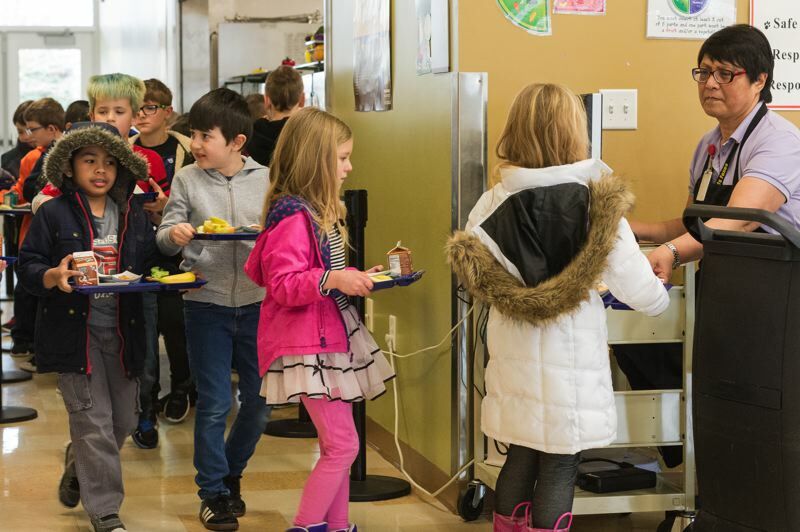 While six of the Hillsboro schools will no longer qualify to cover every student with free meals, students can still apply for meal assistance through the Free and Reduced-priced meal program, part of the National School Lunch Act signed into law by President Harry S. Truman in 1946. The program allows qualifying families to sign up and — depending on their financial situation — their children may qualify for either free or reduced-price lunch and breakfast. In Oregon, students who qualify for reduced-price meals are eligible to receive them for free. This was the first four-year term Hillsboro Schools have participated in the program, which launched nationwide in 2014. Roedel said he is concerned some parents may not hear about the changes in time for the school year, which could add to the already prominent issue of overdrawn student balances in the Hillsboro School District. All administrators can do with the added changes of schools being dropped from the Community Eligibility Provision, is continue to communicate with parents and guardians as best as they can, he said. "We are over communicating this year," he said. "We are doing phone calls and letters every month just to notify them. We've got little postcards in the back to school packet, but my opinion is that unfortunately, a lot of families may not get the message and so we will probably end up running up big bills for a lot of the student accounts." Last year, the state's "anti-lunch shaming" law went into effect, forbidding school districts from reminding students about money they owed for meals. That communication was required to go through parents or guardians. The law was meant to ensure that students were always fed, despite their ability to pay. The good-intentioned law had poor-consequences for school districts, leaving local districts with thousands of dollars in debt just months into last school year.